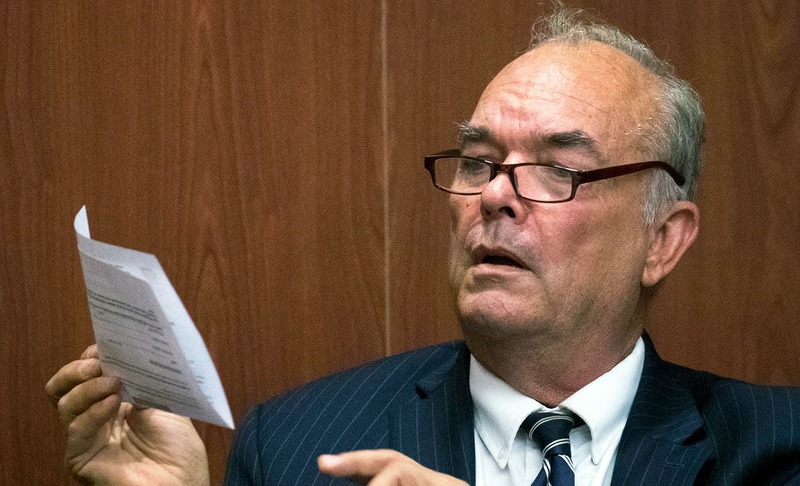 As the Arizona legislature is divided on demand for expulsion of Stringer from the House, Former State Rep. Don Shooter sued the State over his removal after he his was charged with sexual harassment cases. As per Shooter, he was denied the due process as the case regarding his expulsion wasn’t heard by the House Ethics Committee, the body that typically investigates such issues. He filed a 41-page complaint filed in Maricopa County Superior Court which demands an unspecified amount in monetary damages, to be determined at trial. Shooter alleges that the state officials were motivated to discredit and remove him because he had threatened to use his position to expose questionable no-bid technology contracts. He is represented in court by Tom Horne. Tom is regarded as a controversial former Arizona attorney general, who according to an independent investigation used his office for political purposes. However, he denied the charges on him but later paid a fine. Shooter’s central claim in the lawsuit is sexual misconduct allegations involving another lawmaker, Rep. Michelle Ugenti-Rita, were not given equal scrutiny. Ugenti-Rita, R-Scottsdale, was the first woman to come in public alleging Shooter of inappropriate behavior. She also had sued Shooter on the charges of battery and defamation. He has countersued. On 1st February 2018, the Arizona House of Representative voted 56-3 to expel Shooter after an investigation, led by an outside law firm, found “credible evidence” that he harassed at least seven women, including Ugenti-Rita. Investigators spent three months in interviewing multiple witnesses and finally opined Shooter violated House policy dealing with harassment, discrimination, and a hostile work environment through his behavior toward various women over many years. Shooter’s lawsuit is against the state of Arizona as well as J.D. Mesnard, the former speaker of the Arizona legislative House, and Kirk Adams, former chief of staff to Gov. Doug Ducey, as defendants. Mesnard, who is now a state senator, denied of anything other than Shooter’s own behavior as the reason for his removal. In response to the lawsuit, he also reiterated a comment he made last year about Shooter’s accusations. “The Arizona Constitution gives the Legislature broad powers when it comes to disciplining its own members, and Mr. Shooter’s expulsion was well within that authority,” Mesnard said in the statement. Adams, who left Ducey’s office last year, did not comment immediately. It should be reported here that Adams, is likely to return as a contracted policy advisor to the Governor’s office. However, the Governor’s office also could not be reached for comment. Shooter’s lawsuit repeats his claim that Adams and Mesnard conspired to oust him because he has shown concerns about no-bid state technology contracts. Shooter alleges the Governor’s Office wanted him gone after he threatened to issue subpoenas against the perpetrators in the contract case. Shooter’s lawsuit focuses mainly on complaints that his removal violated House rules and his right to due process under the U.S. and Arizona Constitutions. As per the lawsuit, Shooter’s rights were violated because the House didn’t follow its own procedural rules with its investigation and he didn’t have a chance to question his accusers’ assertions or respond to investigators’ report. He also alleged that the report contained false and defamatory findings that damaged his reputation. “Without due process, Mr. Shooter’s peer legislators were denied the time, proper opportunity and information to objectively evaluate the facts, evidence and appropriate policies nor hear Mr. Shooter’s responses and rebuttals,” the lawsuit states. Shooter’s lawsuit also includes comments from several lawmakers who have repeatedly said it was a mistake to remove him without an ethics hearing. Earlier this week, on the case of David Stringer, Rep. Kelly Townsend, said she realized ”in retrospect, it was the wrong process” to remove Shooter without an ethics hearing. Townsend is the main force behind last year’s vote for Shooter’s expulsion. However, Mesnard has defended his decision not go through the traditional way of the ethics committee to vet Shooter. As per him, Shooter’s removal didn’t involve an ethics hearing, in part, because he wanted to avoid a “big public spectacle” for the victims who came forwarded as witnesses and spoke to the law firm that compiled the report of the charges.